OCTOBER 20 — DNA EXTRACTION: Have you ever wondered if fruit is a living thing? All living organisms have DNA, which is short for deoxyribonucleic acid; it is basically the blueprint for everything that happens inside an organism’s cells. In this activity, students will extract DNA from strawberries. Be sure to come by the store for DIY-creators and graphic artists A.V. Perkins and Khia Jackson. They will be featured for a panel regarding non-traditional small business concepts, DIY and hip hop. Join Urban Bush Women for a fun night of shopping and good spirits at Peace & Riot! 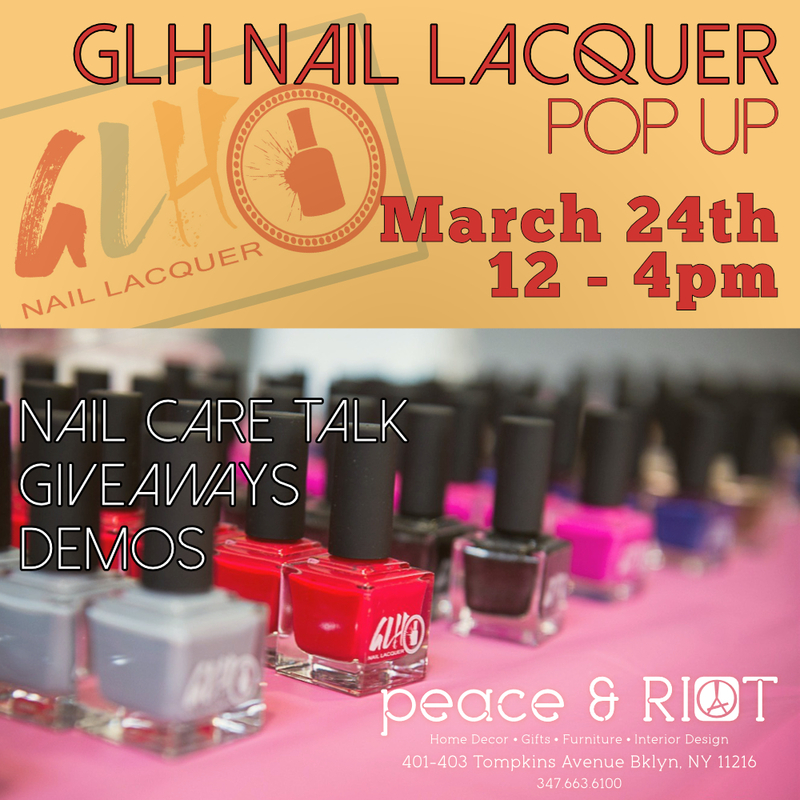 We'll have UBW merchandise, treasures from the UBW costume closet and gorgeous home decor and gifts from Peace & Riot. Donate $15 or more at the door and receive a $5 discount on UBW merchandise. All donations will go towards supporting UBW's Summer Leadership Institute! Mark your calendars... 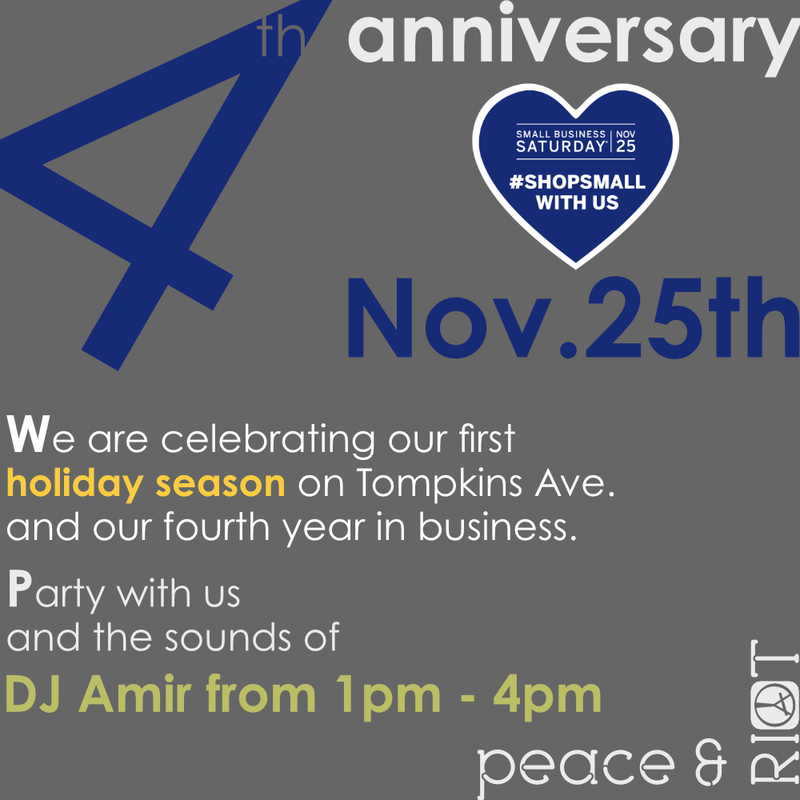 Enjoy a day of music and shopping! We have a full day of talented musicians gracing our stage in front of the store. Click on poster above to see full lineup. See you on June 21st. Chiquita Camille Payne is an Actress, Dancer and now author of her first book, JUST BECAUSE. Chiquita has been writing poetry for years, but her vibrant son inspired her to pursue book writing. Hence this is the beginning of a wonderful journey. This native Chicagoan now resides in Brooklyn, New York. Hey everyone... join us for another StoryTime event. Come by with your little people and enjoy "Just Because" being read by the author, Chiquita Camille Payne. We will also have an activity after the reading. Please pass this on to any friends with children. Thanks. Get ready everybody, we have another event coming up! This coming Saturday, April 26th, we have artist Maine Smith showing a new collection of his work from 11am to 4pm. Maine Smith is a seasoned art director and photographer, who finds creative inspiration through the concepts of story narration, human experience and life. His work has enriched pages in GQ, Teen Vogue, The Source, Food & Wine and Child, and Travel & Leisure and his art has captivated imagination in several viewing exhibits at the Clinton Hill Art Gallery, Dumbo Art Expo and Mercedes-Benz Fashion Week. "Life is recycled energy from which creation occurs," which can be felt and experienced through his recent work. Hi everyone, we have an Earth Day event coming up on Saturday April 19th which is great for all ages. A. Bernadette is going to lead a workshop on how to use recycled plastic bottles to grow your own salad. A. Bernadette works with 100 artisans from Uganda who create accessories from recycled materials using traditional weaving techniques. In New York, A. Bernadette invites you to explore the unknown by participating in its 'Trash to Treasure' youth programs geared towards innovative recycling education. Check out her site for more info. Have you ever wished you had a different name? Possibly like Julia or Justin? Roll Call tells the unique story from two different perspectives about embracing your name and its diversity. Bobbisha (Boh-Bee-Shah) does not like her name and every year during roll call her teacher mispronounces it and she doesn't bother to correct them. Katie thinks her name is too boring and wishes it was more exciting. What do you think? Their story teaches all ages the power of being unique and how to accept who you are. Hey everyone... this is our first StoryTime event. Come by with your little people and enjoy experiencing "Roll Call" being read by the author, Kerri-Ann Thomas. We will also have an art activity after the reading.